Vegan Outreach is thrilled to be working with the family-oriented East Coast pizza chain Coal Fire. After meeting with them to discuss the growing demand for vegan options in their region, they decided to roll out Daiya cheese to all eight of their locations! 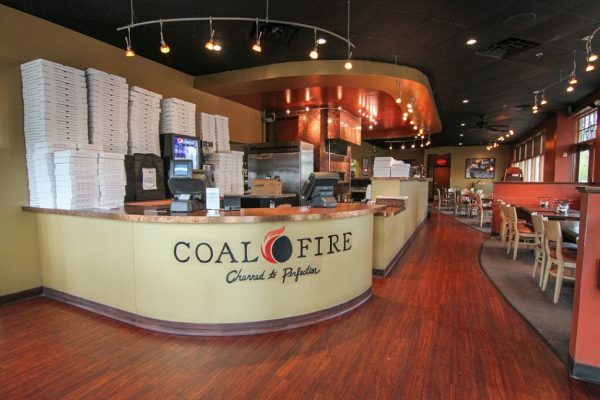 “Coal Fire makes it a priority to have different options for all types of food lovers. We pride ourselves on now offering Daiya cheese and hope that our vegan clients are pleased with the new option on our menu,” said Coal’s Fire Marketing Director, Lindsay King. Customers can enjoy a delicious vegan cheese pizza on their gluten-free crust—their regular crust is not vegan—with the classic sauce and endless combinations of veggies. If you’d like to start your meal with an appetizer, try their Greek salad or field greens salad without cheese, and even the roasted veggie coalby sandwich without goat cheese! Why aren’t you in the Philly suburbs? We need vegan pizza!